N 12° 3' 41" and E 0° 21' 30"
Safety Score: 3,5 of 5.0 based on data from 9 authorites. Meaning please reconsider your need to travel to Burkina Faso. 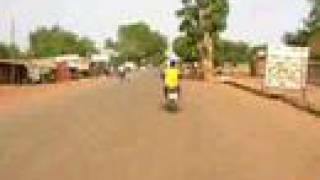 Fada N'gourma in Province du Gourma (Est Region) with it's 33,910 habitants is located in Burkina Faso about 129 mi (or 208 km) east of Ouagadougou, the country's capital town. Current time in Fada N'gourma is now 03:22 AM (Monday). The local timezone is named Africa / Ouagadougou with an UTC offset of zero hours. We know of 8 airports close to Fada N'gourma. The closest airport in Burkina Faso is Fada N'gourma Airport in a distance of 2 mi (or 3 km), South. Besides the airports, there are other travel options available (check left side). While being here, you might want to pay a visit to some of the following locations: Gayeri, Bilanga, Ouargaye, Koupela and Tenkodogo. To further explore this place, just scroll down and browse the available info. Let's start with some photos from the area. De la Villa de Tin Tua à l'EPCD. This particular Camp G2LOW (Guys & Girls Leading Our World) was held in August 2013 in Fada N'Gourma, Burkina Faso. Students from all over the country went to these camps to learn to be leaders. 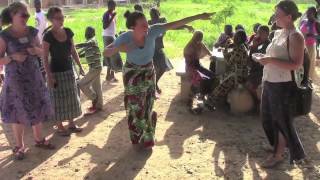 Fada N'gourma, also written Fada-Ngourma, is a city in eastern Burkina Faso, lying 219 kilometres east of Ouagadougou, in the Gourmantché area. It is the capital of the Gourma province. It was founded by Diaba Lompo as Bingo. It is known for its blanket and rug manufacturing. It is also famed for its honey. The town is twinned with Épernay in France and Great Barrington, Massachusetts, USA. Located at 12.05, 0.366667 (Lat. / Lng. ), about 1 miles away. Fada N'gourma is a department or commune of Gourma Province in north-eastern Burkina Faso. Its capital lies at the town of Fada N'gourma. Located at 12.0667, 0.35 (Lat. / Lng. ), about 1 miles away. Fada N'gourma Airport is an airport serving Fada N'gourma in Burkina Faso. Located at 12.033, 0.35 (Lat. / Lng. ), about 2 miles away. These are some bigger and more relevant cities in the wider vivinity of Fada N'gourma. These are the most popular locations in Burkina Faso on Tripmondo.